Many people will surely ask a question that what actually IIS Crypto do, it will update the register settings of your system. It also updates the cipher suite order in the same way that the Group Policy Editor does. 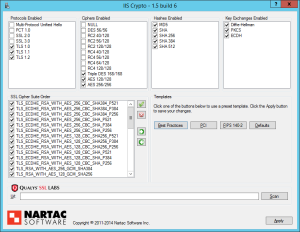 IIS Crypto has been tested on Windows Server 2003, 2008, 2008 R2 and 2012 and 2012 R2. You can choose the PCI-DSS template if you are more concerned about the security of your server and want to protect it from many issues in SSL. You can also choose your own settings like removal of SSLv3 from your server along with removal of RC4 ciphers. Note: After applying these settings you have to restart your server. Make sure you apply all these settings on a staging environment before implementing on a production server. 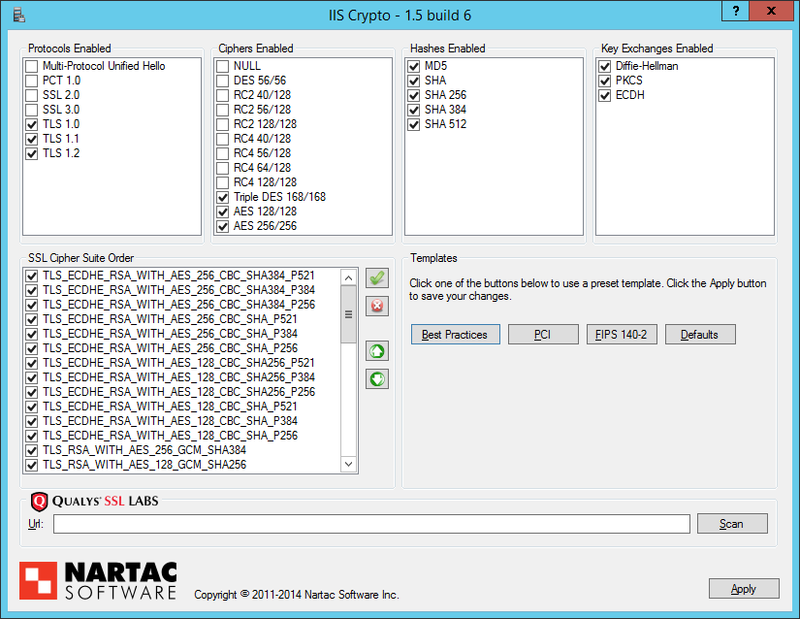 IIS Crypto is offered in both a GUI and a command line version. It runs on .Net 2.0 or 4.0. Click here to choose your version.